It has been one month since I wrote about my extremely poor eyesight and my dilemma of wanting to wear my contact lenses... but also not wanting to end the day with bloodshot, tired, sore eyes (if you wear contacts, you know the feeling). It seemed as though the only option was to leave my lenses in their case and to pick up my glasses time and time again. If that's what has to happen to be able to see while staying comfortable, then that's what has to happen, I suppose. 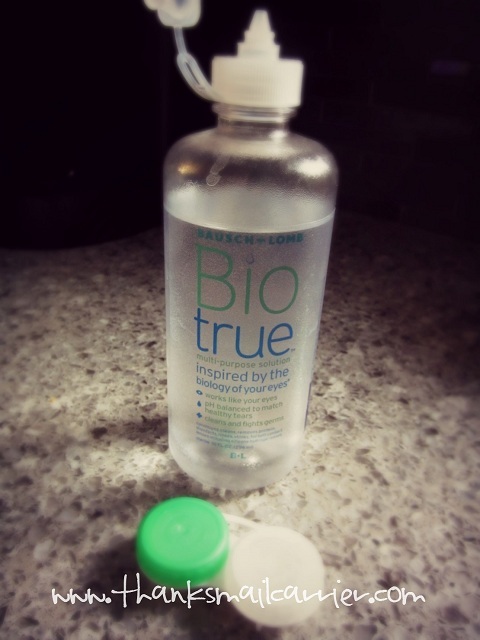 And then I embarked on the Biotrue Challenge and replaced my regular contact lens solution with Biotrue multi-purpose solution from Bausch+Lomb. Bausch & Lomb Biotrue multi-purpose solution is designed to work like your eye and, in fact, contains a lubricant found in your eyes. As Biotrue is balanced to match the pH of healthy tears, it is able to cushion and rehydrate lenses for comfortable wear up to 20 hours. When used daily, Biotrue also dissolves protein and cleans, loosens and removes accumulations of film, debris and deposits, and kills harmful microorganisms on soft contact lenses. The combination of rehydration and superior disinfection come together to ensure that Biotrue multi-purpose solution makes wearing contact lenses comfortable all day. The first day that I opened the bottle of Biotrue multi-purpose solution, I was immediately pleased with it being clear. Instead of having to guess at how much is left by the weight of the bottle, I can see right inside! When it came to the solution itself, I was also happy that using Biotrue didn't require anything different than any typical contact lens solution. Simply rinse, store and use your lenses again the next day. But... could this particular contact lens solution really eliminate the feeling of dry, tired eyes? I was skeptical. 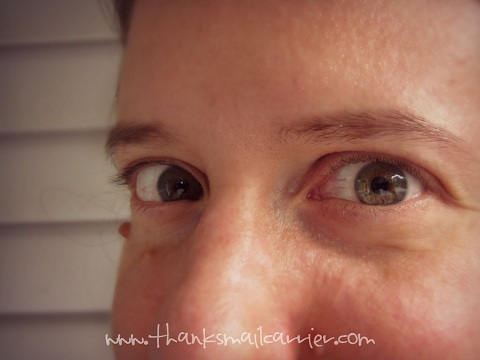 However, as I began to use Biotrue and make a point to wear my contacts more and more often, I did find that the discomfort from my contacts lessened. Once in a while I still experienced days that left my eyes feeling a little on the dry side, but it was so nice to be able to put in my contacts in the morning and not have to plan to take them out only a few hours later. Instead, my eyes feel healthier and I've been loving the ability to leave my glasses sitting on the shelf! As I'm planning my outfits for days and evenings for my upcoming trip to BlogHer, I'm looking forward to seeing many of my friends clearly... and having them see me instead of my glasses. I'm very happy with my results so far and plan on continuing to keep Biotrue as a part of my routine. Think it might help your eyes as well? Don't just take my word for it, switch out your old solution today and see the difference yourself - take the Biotrue Challenge! Thanks to Bausch + Lomb, one of my readers could be one (1) of ten (10) exclusive winners of a 1-year supply of Biotrue® multi-purpose contact lens solution! Share with us what you look forward to at the end of the day! This is a sponsored conversation written by me on behalf of Bausch + Lomb. The opinions and text are all mine. 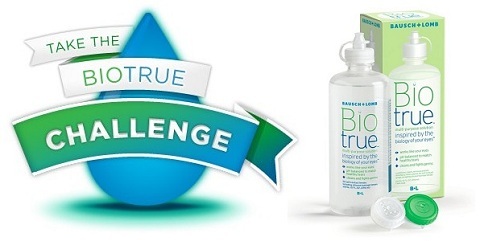 The Official Bausch + Lomb BlogFrog Biotrue Challenge Sweepstakes Rules.